This weekend, from the Wembley Stadium in London, IBF/WBA/WBO heavyweight champion Anthony Joshua will return to the ring when he faces off with former champion Alexander Povetkin. Joshua (21-0, 20 KO’s) by no means is going to have an easy time with Povetkin (34-1, 24 KO’s), who at 39 years old realizes this could be his last crack at the big stage. But if he is to emerge victorious, surely the public will begin eyeing his future options. It’s well known in the sport that WBC champion Deontay Wilder and former lineal heavyweight champion Tyson Fury look to be on a collision course with one another for later this year. That fight is rumored to be heading to Las Vegas, with a November or December date possible. Joshua admits that he can’t lose his focus of Povetkin by focusing on either Wilder or Fury. It really wasn’t until this year that Wilder began mentioning Joshua as a possible opponent. Most fans would have loved to see the matchup happen this year, but negotiations didn’t allow it to happen. 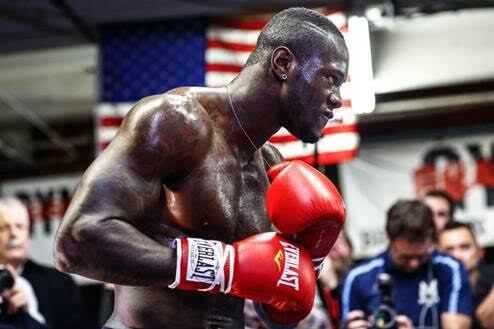 One thing that Joshua does admit is that he will have to see Wilder at some point in the future. Looking back at how the negotiations failed, Joshua pointed to his victory over Carlos Takam last year, and how it was then that the 32-yea old Wilder began to call him out. Joshua won’t deny that Wilder has been heavily on his mind though, something that may have affected past performances. Let’s hope, for the sake of the fans, that Joshua is serious about what he says. BoxNation accounces the biggest ever week of live fights!